Sands was the first to die in the 1981 Irish Hunger Strike. 25 October 1879 (+) is born in Hannover, Germany. 6 February 1897 (x) is diagnosed as suffering from an incurable mental disease in Langenhagen, Germany. 25 September 1918 (-) killed and his meat sold Friedel Rothe in Hannover, Germany. 28 April 1919 (x) is sentenced to 9 months imprisonment for insulting Friedel Rothe in Hannover, Germany. 1 July 1921 (x) moves into "Das Mordhaus" in Hannover, Germany. 17 March 1922 (-) killed and his meat sold Keimes in Hannover, Germany. 12 February 1923 (-) killed and his meat sold Fritz Franke in Hannover, Germany. 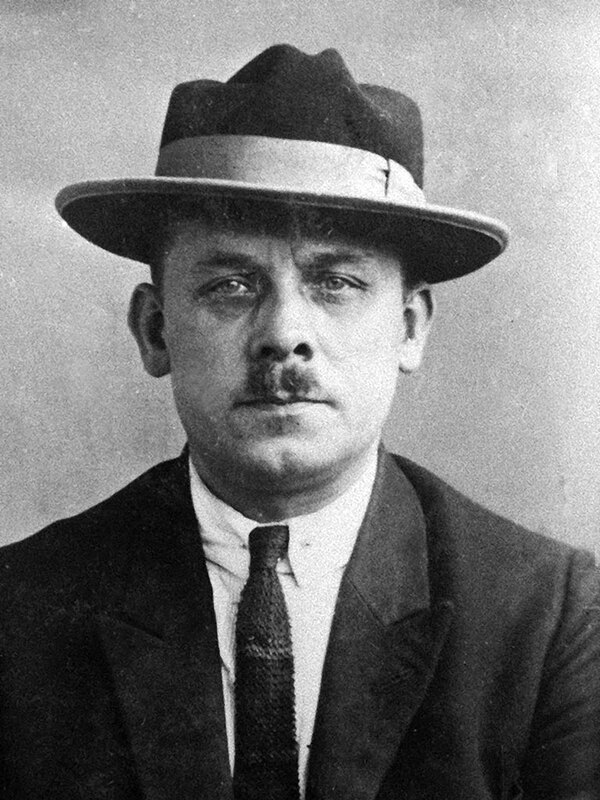 20 March 1923 (-) killed and his meat sold Wilhelm Schulze in Hannover, Germany. 23 May 1923 (-) killed and his meat sold Roland Hoch in Hannover, Germany. 29 May 1923 (-) killed and his meat sold Hans Sonnenfeld in Hannover, Germany. 9 June 1923 (x) moves into a new apartment in Hannover, Germany. 25 June 1923 (-) killed and his meat sold Ernst Ehrenberg in Hannover, Germany. 24 August 1923 (-) killed and his meat sold Heinrich Struß in Hannover, Germany. 24 September 1923 (-) killed and his meat sold Paul Bronichewski in Hannover, Germany. 30 September 1923 (-) killed and his meat sold Richard Gräf in Hannover, Germany. 12 October 1923 (-) killed and his meat sold Wilhelm Erdner in Hannover, Germany. 25 October 1923 (-) killed and his meat sold Hermann Wolf in Hannover, Germany. 27 October 1923 (-) killed and his meat sold Heinz Brinkmann in Hannover, Germany. 10 November 1923 (-) killed and his meat sold Adolf Hannappel in Hannover, Germany. 6 December 1923 (-) killed and his meat sold Adolf Hennies in Hannover, Germany. 15 January 1924 (+) killed and his meat sold Heinrich Koch in Hannover, Germany. 2 February 1924 (-) killed and his meat sold Willi Senger in Hannover, Germany. 8 February 1924 (-) killed and his meat sold Hermann Speichert in Hannover, Germany. 6 April 1924 (-) killed and his meat sold Alfred Hogrefe in Hannover, Germany. 15 April 1924 (-) killed and his meat sold Hermann Bock in Hannover, Germany. 17 April 1924 (-) killed and his meat sold Wilhelm Apel in Hannover, Germany. 26 April 1924 (-) killed and his meat sold Robert Witzel in Hannover, Germany. 9 May 1924 (-) killed and his meat sold Heinz Martin in Hannover, Germany. 17 May 1924 (x) Numerous skulls and bones are found in the river Leine between Schloss Herrenhausen and the Bruckmühle. They are all presumed victims of Haarmann in Hannover, Germany. 26 May 1924 (-) killed and his meat sold Friedrich Abeling in Hannover, Germany. 26 May 1924 (-) killed and his meat sold Fritz Wittig in Hannover, Germany. 5 June 1924 (-) killed and his meat sold Friedrich Koch in Hannover, Germany. 14 June 1924 (-) killed and his meat sold Erich de Vries in Hannover, Germany. 22 June 1924 (x) is arrested after a minor fight with Kurt Fromm in Hannover, Germany. 29 June 1924 (x) confesses to a long career of murder, butchering and selling his victims’ meat in Hannover, Germany. 5 July 1924 (x) During a search for victims of Haarmann over 500 bones and pieces of skull are found between the Bruckmuhle and the Leinebrücke in Hannover, Germany. 4 December 1924 (x) Start of the trial against Haarmann in Hannover, Germany. 21 February 1925 (x) Inauguration of a monument in memory of the victims of Haarmann in Hannover, Germany. 15 April 1925 (-) is executed by the Guillotine in Hannover, Germany.